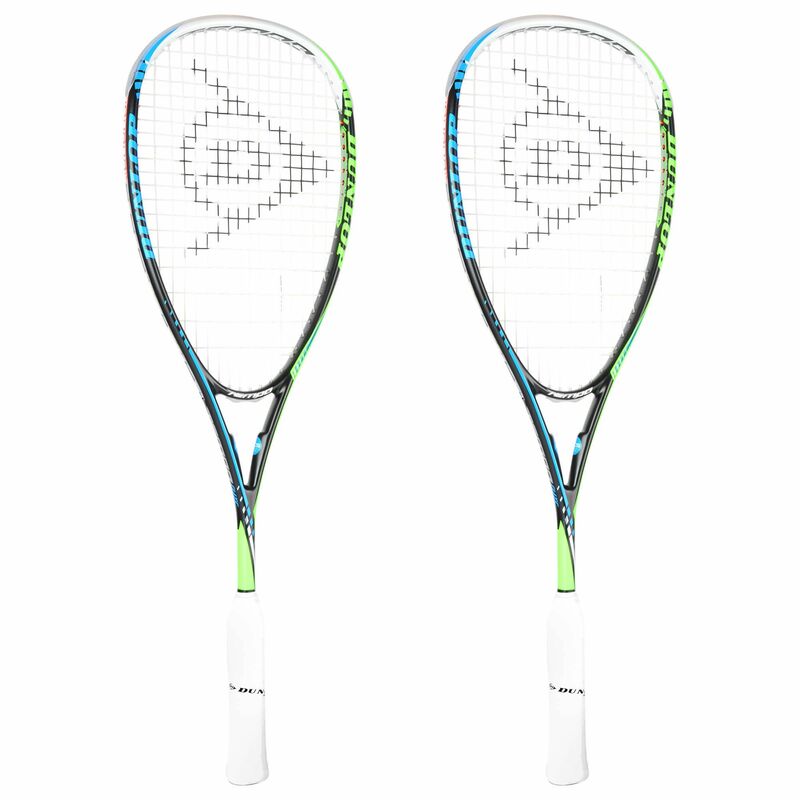 The Dunlop Tempo Elite squash racket double pack features two quality frames with oversized head of 500cm2 (77.5in2) to ensure great consistency, and precise power on each stroke. Furthermore, with head light balance, the racquets handle fast and well, giving plenty of control potential for a frontcourt style of playing. There is also the Advanced Control System granting enhanced stability and torsional strength, whilst the Power Grommets, as the name suggest – deliver impressive power to boost the court offensive. Both racquets are made from lightweight graphite, and come strung with Dunlop X-Life string in a Powermax 16x19 pattern, plus they’re shipped with protective ¾ covers. for submitting product review about Dunlop Tempo Elite Squash Racket Double Pack.